The government of Costa Rica decreed three days of national morning beginning today at noon in honor of the victims of Tropical Storm Nate. The decree means that flags will be flown at half mast and all government events are cancelled so officials can focus on responding to the storm. Schools and many businesses remained closed Friday. Nate caused eight deaths and widespread destruction around the country. “The loss of compatriots’ lives moves us as a nation, and we unite in solidarity with all those affected and their families,” said President Luis Guillermo Solís in a statement. 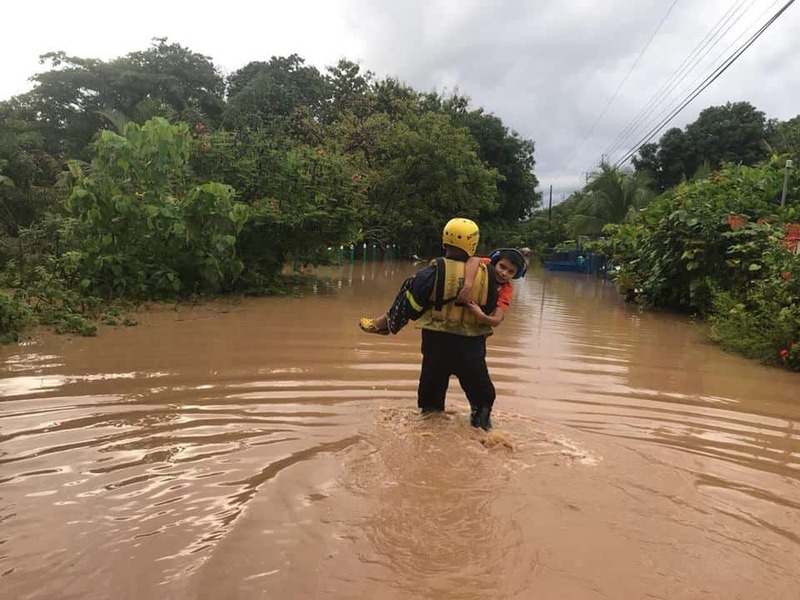 The nonprofit Amigos of Costa Rica in Washington, D.C. set up a page on its website where people can donate to the Costa Rican Red Cross to support victims of the storm; donations are tax-deductible in the United States. A Tico Times reported that the BeachSide Clinic in Villareal, Guanacaste, is asking for donations of alcohol gel, water, rubbing alcohol and medications, as well as personal hygiene articles, mattresses, blankets and clothes for the more than 90 people in shelters there. Read more here. Red Cross volunteers around the country are asked to report to their local committees. Readers in Costa Rica: What is your community doing to respond to the storm? What other outreach efforts, volunteer opportunities or donation options are available for people around the country and world who want to help? Please send your news, links, photos and videos to kstanley@ticotimes.net to help us spread the word. #AlertaLluvias He decretado Duelo Nacional por tres días, en memoria de las personas fallecidas, producto de la emergencia.Hago un llamado contundente de prevención a la ciudadanía: el cese de las lluvias no detiene la amenaza de deslizamientos u otros eventos de peligro.¡Protéjase y proteja a su familia!